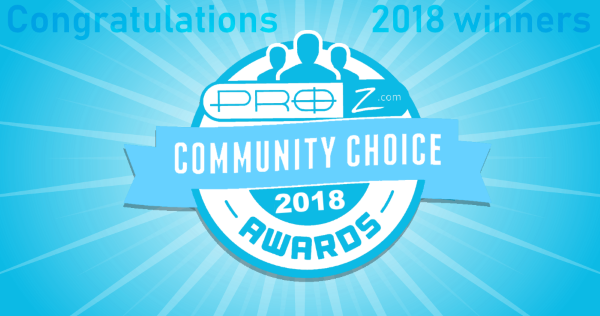 I’ve just received the great news that ProZ.com’s page on Facebook has been nominated for the category ”Language Facebook Pages” at the Top 100 Language Lovers 2011 competition. You can see the announcement here. The nomination period goes from May 3rd to May 16th. You can visit this page to make your nominations. An interview with staff member Lucia on the first free webinar on “Getting started in Translation”. I hope you like it! Feedback and comments are welcome. You can reach me at romina at proz.com or via Twitter @ProZcom . Thanks to Ramiro Gonzalo in berimbau and Juan Zabala in pandeiro for the background music! There was a quick poll published this week on the subject of rates. While a comprehensive survey on translator rates which takes into account factors such as language pair, field, client type, etc., is beyond the scope of a quick poll, the discussion this poll led to is an interesting one. Have a look at the discussion thread here. Another quick poll, held at the end of 2010 asked, “Are you planning to raise your rates in 2011?” At least 24% of those who responded said yes, and nearly 39% were thinking about it, but not certain yet. In response to a more recent quick poll, 18.8% of respondents stated they had raised their rates this year. A different take on this topic might be to ask, “How’s your income?” Have you been able to sustain or raise your income from your translation-related work, and was an increase or decrease in your rates a factor, just one of various factors, or not a factor at all? Regarding rates, there is a brief explanation of how price relates to quality published on ProZ.com, as well as data on standard and minimum rates reported by those in the community. View this explanation and data here. TransQuotation is a website that acts as a translation job portal, with the option of paid membership to receive access to jobs. 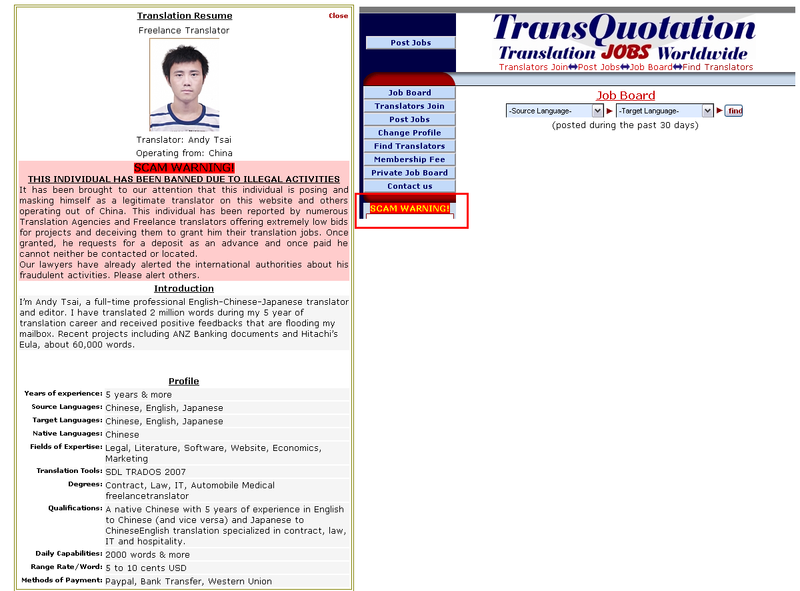 As far back as 2006, members of ProZ.com and of other legitimate translators’ portals have reported the unauthorized “lifting” and re-posting of jobs from their sites on TransQuotation, indicating that paid membership there is for access to work which has specifically been offered elsewhere. This re-posting of work without the knowledge or consent of the outsourcer can lead to confusion and hassle for both outsourcer and translator. ProZ.com site staff have taken measures since this activity first came to light to protect the ProZ.com job system from this activity, and legal letters were issued, but not complied with. 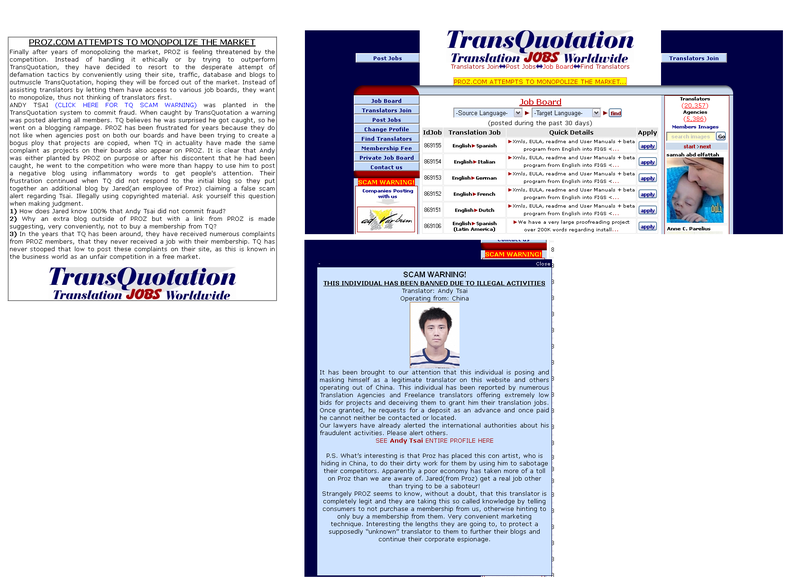 Recently, a ProZ.com member posted on his own experience with TransQuotation as a member there and to warn colleagues. After his posts and an attempt to request a refund from the site, his photo and profile information have now been posted by TransQuotation on their homepage as a scam warning, stating that he has been “banned due to illegal activities”. I would like to urge those who read this to share this information with networks of translation colleagues, to put the warning out and help others make an informed decision when considering membership at that site. Thank you! Over the weekend the site appears to have updated the “scam alert”, as well as added an additional link/text to the home page regarding ProZ.com. The ProZ.com mentoring program has been revived with the assistance of members of the ProZ.com Certified PRO Network. Translators in need of practical experience can meet established and experienced members of the Certified PRO Network and acquire experimental translation knowledge. In turn, Certified PROs have the chance to distinguish themselves as experts while possibly finding new partners for growing their translation teams. If you are a ProZ.com member and are interested in participating in the ProZ.com Mentoring program, find more information here. If you are a member of the Certified PRO Network and would like to volunteer as a mentor, post a “Mentor offer” in the ProZ.com Exchange section and contact site staff to have your name added to the list of active mentors. Post-editing seems to be a time-saver, a headache, a productivity-booster or an activity to be avoided at all cost, depending on who you talk to. There is an interesting discussion that was recently started in the ProZ.com forums by member Michael J.W. Beijer on post-editing and how translators should approach this process. You can view this discussion and participate here. The chances are good that demand for post-editing will continue to increase; is this good or bad for professional translators? Have you done post-editing work recently? What are your thoughts? Can it be successfully leveraged to your advantage in your language pair(s) and field(s)? Thanks to Twitter, I came across a ProZ.com member’s blog and a very interesting blog post. Check out Esther van der Wal‘s blog, IdentiTales, and her recent post, “My Two Cents: How Volunteering Changes Your Perspective of Business”. In it, Esther comments on her experience with a Translators Without Borders project and reflects on the roles of translation business owner and volunteer. Thanks Esther! Looking forward to future posts.